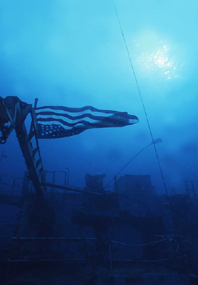 the purpose of the uss oriskany diver specialty course is to familiarize divers with the skills, knowledge, planning, organization, procedures, techniques, problems, hazards, history and enjoyment of diving the uss oriskany. training emphasizes fun, knowledge development and safety. to develop the student's historical knowledge of the uss oriskany. to develop the student's theoretical knowledge of diving a deep site in an open ocean environment. to enable the student to safely plan, organize and execute multi-level no decompression dives in an environment where it is possible to exceed recreational diving limits. to enable the student to survey and locate key ship locations and associate these locations to historical events or functional activities aboard the uss oriskany. to improve the student's diving abilities, dive plan management and buddy team skills. naui or padi advanced scuba diver or certification as an advanced scuba diver by a naui or padi recognized agency is required. equivalent certification is defined as proof of an advanced certification with a minimum of five specialty training dives. 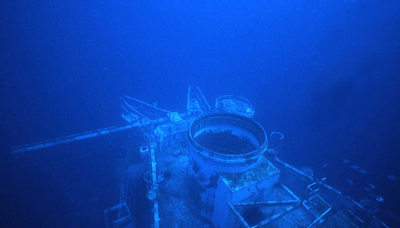 divers wishing to complete the uss oriskany diver certification must have a minimum of 20 logged dives. advanced scuba divers must have completed two logged dives within the last year. minimum age requirement is 15 years of age. confined water or additional open water training may be added at the discretion of the instructor conducting this specialty course. as a pre-assessment before the course begins, a confined or open water session may include a scuba skills review. students may be asked to demonstrate equipment set up, entry skills, buoyancy control, ascent, and exit skills. the student-to-instructor ratio is a maximum of 8:1.
dive training includes two scuba dives. dives are conducted at depths equal to or less than 130 feet. 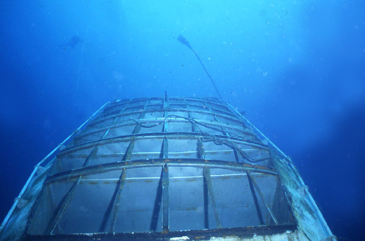 training is conducted at depths of 120 ft. or less. at no time will training be conducted at depths exceeding 130 feet. 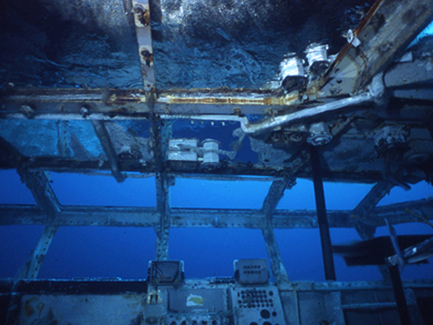 student's exceeding 130 feet on computer or recording depth gauge will not receive credit for the dive. this is a specialty course you can complete in a long weekend. captain jim meyers is currently the only instructor world-wide authorized by naui and padi to teach the uss oriskany diver speciality course. learn from the course developer! for costs and times available for this special experience, contact captain jim. look below to see some of what you will experience in this course!